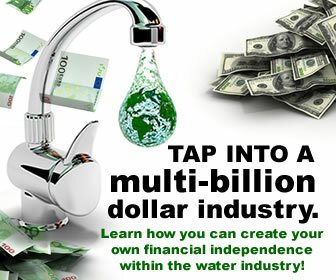 Get Paid the Next Day! 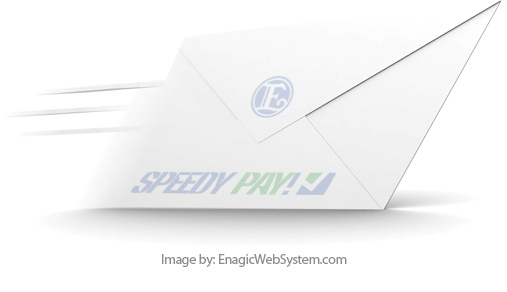 Enagic® has unveiled a brand new SPEEDY payment policy that once again sets an unbeatable high standard in the direct sales industry! 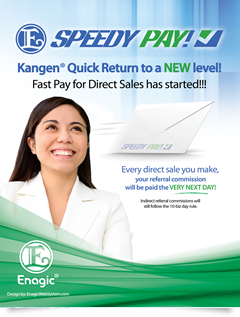 Enagic®’s Next Day Pay on direct sales allows YOU to focus on increasing the scope of YOUR business! Effective immediately, your referral commission checks will be mailed THE NEXT BUSINESS DAY after any Direct Sale. 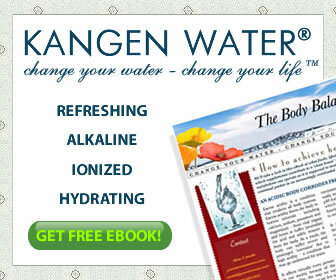 Once Enagic® receives your order via online ordering, fax, or drop-off, they will process it right away and cut you a check the very next business day. This exciting new policy only applies to Direct Sales. Indirect commissions to your upline will still be processed and sent under the existing 10 business day program.